Demonstrating confidence in the reliability of its sensors, leading meteorological equipment manufacturer Biral has now extended the warranty period on two of its major product ranges. The two ranges of equipment are Biral’s SWS and VPF Visibility and Present Weather sensors which are used in applications from climate research to highway, aviation and navigational safety. In its history of 40 years in this specialist market, Biral has witnessed extremely high levels of reliability in its products which use patented technology and have high build quality. This confidence has led the company to extend the warranty on its SWS visibility sensors to three years and on its VPF range of present weather sensors for the more arduous marine environment to five years. This has been made possible through Biral’s extensive market experience and through the use of high quality materials. Its sensors are fully tested and calibrated before leaving the factory and are designed to withstand years of harsh weather, with many sensors operating for a decade or more without interruption. As a result, Biral is also offering customers the option of extending the warranty up to 10 years on the SWS range and up to 15 years on the VPF range of sensors. Both the SWS and VPF range of sensors uses forward scattermeter technology to measure present weather and output Meteorological Optical Range. There are five models in the SWS range and four models in the VPF range covering a host of applications from roads, tunnels and weather networks to the harsher conditions of marine and aviation. 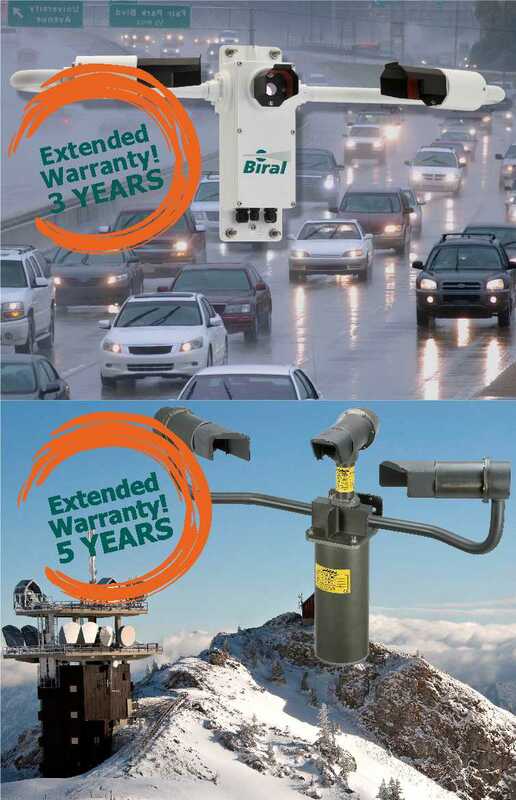 Further details of Biral’s range of visibility and present weather sensors and their newly extended warranty systems is available from Biral on +44 1275 847787 email: enquiries@biral.com.